Annapolis, MD (December 6, 2018) – Today, the League of American Bicyclists recognized Anne Arundel County and the City of Annapolis with a joint Bronze Bicycle Friendly Community (BFC) award, joining 464 visionary communities from across the country. With the announcement of 61 new and renewing BFCs today, the two jurisdictions join a leading group of communities in every state that are transforming the American landscape. There are currently 464 BFCs in all 50 states and the District of Columbia. The Bronze BFC award recognizes the collaborative county and city commitment to improving conditions for bicycling through investment in bicycling promotion, education programs, infrastructure and pro-bicycling policies. “We’re honored to receive this award. Our new county slogan is “The Best Place” and we want to make Anne Arundel County the best place to ride a bike,” said Anne Arundel County Executive Steuart Pittman. The county and city, with the support of local nonprofit organization BikeAAA, applied jointly for this prestigious award. The two jurisdictions recently collaborated on a bikeshare program. There are over 60 miles of bike routes (trails and on-road lanes), though many are disconnected. The city and county seek to connect these segments and close gaps, encouraging more people to ride to work, school, recreation and other destinations. This helps relieve traffic congestion, improve health, protect our environment, and make our area a more attractive place to live, work and visit. “As an avid, daily commuting bicyclist, this bronze award is an honor and a step in the right direction to continue our commitment to making Annapolis the most bike friendly city in the state. Bicyclists spend more in locally owned shops, help alleviate valued parking in our historic district, and attract more tourism. I look forward to connecting more of the city’s safe bike routes with the growing network of trails and bike lanes in the county to create safe options for cyclists and communities,” said Annapolis Mayor Gavin Buckley. “Anne Arundel County has a strong commitment to bicycling for both transportation and recreation. That vision started under County Executive Steve Schuh and will continue under new County Executive Steuart Pittman. As we work towards Silver level, we will continue to build our bicycle network to provide safe, efficient and equitable transportation choices for people of all ages, abilities and means.”, said Jon Korin, president of Bicycle Advocates for Annapolis & Anne Arundel County and chair of the Anne Arundel County Bicycle Advisory Commission. Since the Bicycle Friendly Community program’s inception over 20 years ago, more than 800 distinct communities have applied for recognition. The program provides a roadmap to building a Bicycle Friendly Community for areas of all shapes and sizes. The rigorous application process is an educational tool in itself, and includes an opportunity for local bicyclists to provide input on their experiences and perceptions of bicycling in their community. The five levels of the BFC award – diamond, platinum, gold, silver and bronze, plus an honorable mention category and a no designation level – provide a clear incentive for communities to continuously improve. 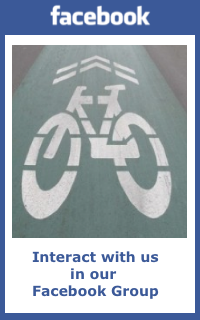 The League of American Bicyclists provides feedback and guidance to every applicant community, regardless of award designation, with the goal of helping every community to improve. Awarded communities must renew their status every four years to ensure that they not only maintain existing efforts, but also keep up with changing technology, national safety standards, and community-driven best practices. To learn more about the BFC program, visit bikeleague.org/community.